If you got an iPod touch you know that the sound recorder app is not really working for you because Apple did not give you device an build in microphone But now you can get a littl microphone just a couple of dollars. 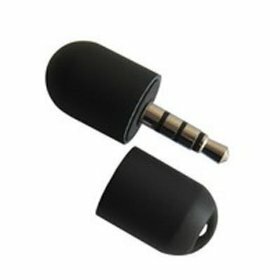 The CablesToBuy Mini Microphone is easy it comes in a little shell so that you plug will not damage when not in use. And how do you use it? simple just plug it in to you iPod Touch (2e generation or newer) and you are ready to go. So now you can have a great little mic so that you are ready to record audio to your iPod Touch. Get the CablesToBuy™ Mini Microphone today and start using it real soon.